Our last installment in the Northeastern PA week series is barely even in Northeastern PA. Mount Pocono, PA is about 30 miles south of Scranton and is a much less remote location than any of the others we've seen this week. And, we're looking at an old friend, a ShopRite! This store, at 89 PA-940, is owned by William Bracey, who previously ran this store and another in Daleville as ShurSave stores. However, although he switched to the Wakefern cooperative around 2005, his company is still Bill's ShurSave Supermarkets! Both locations have gas stations and convenience stores as well, and the Daleville store even features a drive-through pharmacy. 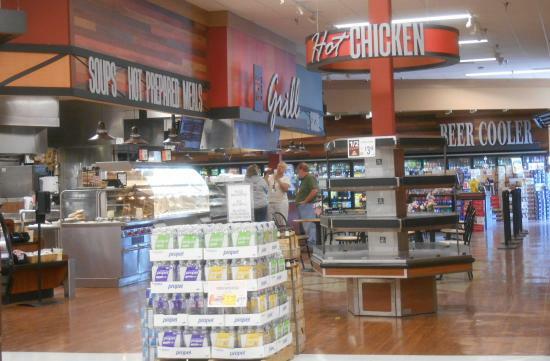 The store here in Mount Pocono was recently remodeled, and it looks fantastic. 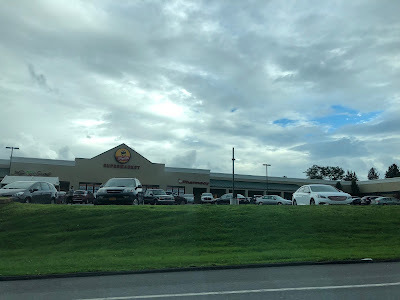 The ShopRite-branded gas station and convenience store is just around the corner from the supermarket. 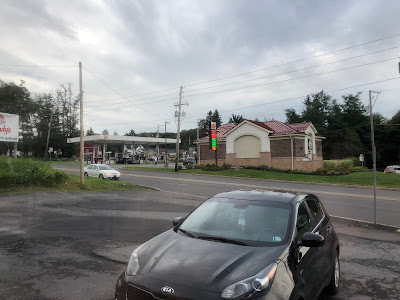 The two Bill's ShopRite gas stations join a corporate SRS-owned gas station up in Albany, NY, as well as a Klein's ShopRite Gas-N-Go in Bel Air, MD. Wakefern corporate doesn't have a gas station program, but their members are free to run their own if they want.